Indie studio kFunction today announced that the retro highscore shooter Scintillatron 4096 will arrive on PS Vita and PS4 on December 18, 2018 via the PlayStation Store featuring cross-buy. 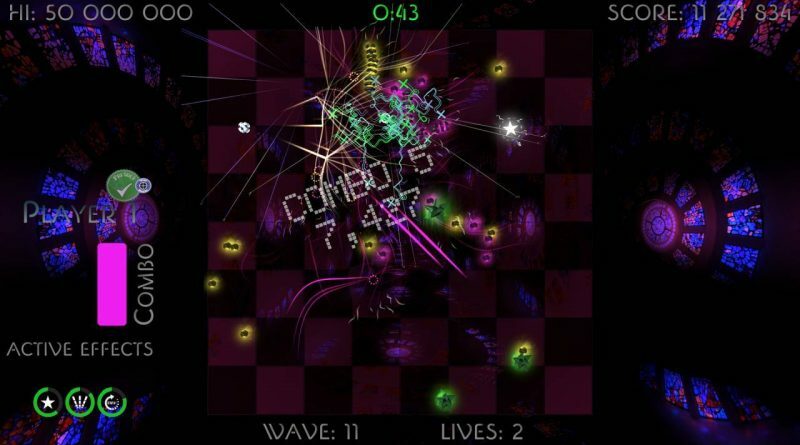 In Scintillatron 4096, players take on hundreds of enemies in frantic showdowns whilst also making tactical choices about the colour-based combo system. Combinable power ups can either help or hinder game play and topping the global rankings is the aim of the game. Scintillatron 4096 is a mixture of old and new. It combines classic arcade gameplay and an old school soundscape with a modern soundtrack.